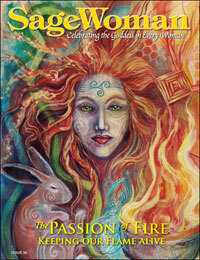 SageWoman Subscribe or Renew Digital Edition [sw00sd_ez] - $23.00 : BBI Media - Magazines that feed your soul. SageWoman is a unique resource for nurturing the Goddess within and connecting with your sisters around the world. Now celebrating over 25 years of continuous publication, we invite you to join our circle by subscribing today.